Harold McGill and Emma Griffis, a doctor and nurse from Calgary, made an unlikely pair – he was shy and reserved while she was outgoing – but when Harold signed up to serve on The Western Front in 1915, he asked Emma to write to him. 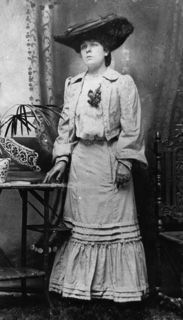 Emma also joined the Canadian army as a Nursing Sister in 1917 and was stationed in England. The couple married in December 1917, returning to Calgary after the war. Sadly, Emma’s letters no longer exist, but Harold’s are safe in the archives at the Glenbow Museum in Calgary and can be viewed online. They tell a fascinating story; aspects of war you rarely find in the history books blended with a tenderly unfolding love story. Some of Harold’s descriptions of the battlefield – the guns growling, a shower of shells, night as dark as a wolf’s mouth – are chillingly evocative. 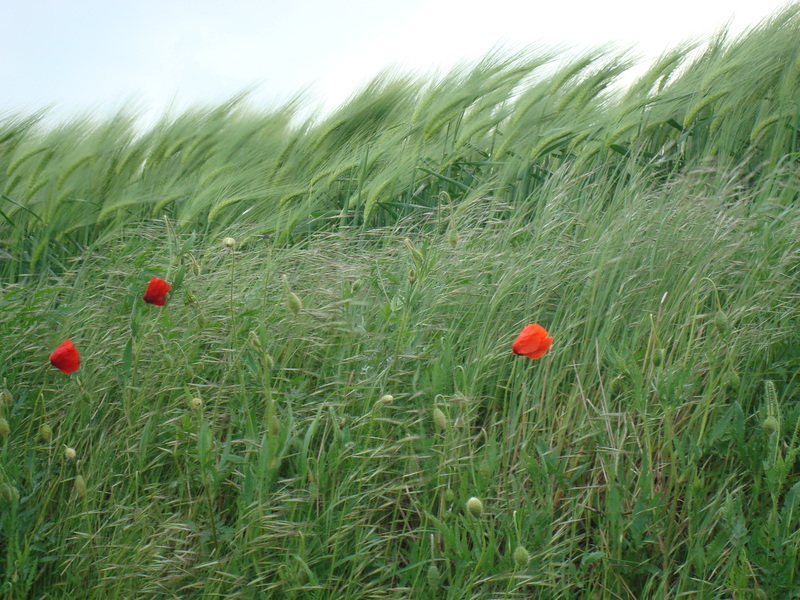 And when he talks about standing in a trench at midnight on New Year’s Eve 1915 to watch the old year out and witness the blast of artillery fire from all the batteries announcing the birth of 1916… well it makes the hairs on the back of your neck prickle. He talks about their rotation through the trenches; 6 days in the trenches – where they must sleep in their clothes and only remove their boots to change their socks – followed by 6 days in the brigade reserve, followed by another 6 days in the trenches, then 6 welcome days in divisional reserve billets where they have the opportunity to rest up before the whole process starts over again. The gas alerts when the wind blows in from the east. How ‘one smokes a lot at this game’. A regimental dinner held in a convent. The daily rum ration when in the trenches. Having to go for 15 days without changing his clothes followed by the sheer joy of a hot bath and clean bed. But it’s the love story that is the most touching. He starts off addressing Emma as Dear Miss Griffis and signs off Sincerely yours. Following his proposal of marriage in July 1917, that changes to My dear Emma and ends Yours truly. And after their marriage in December that year, it’s My Dear Wife from Your loving husband. His concern when he discovers she’s assigned to the ‘lungers‘ ward at Bramshott Military Hospital in England, and his ‘mortal terror of TB which is more deadly than Fritz’s trench mortars’. Only after they became engaged, when he was on leave in England in July 1917, do they really start learning about each other. He tells her he has an older brother and two younger sisters (one of whom, Margaret, is also serving in France) and that his parents died within 10 days of each other when Margaret was only 15. There is so much more. I can only offer a sliver of the richness of his letters here and encourage you to click on the link at the top of the page and check them out yourself. As to why her letters didn’t survive… Harold offers the intriguing hint that he would ‘love to keep them’ but it is ‘difficult on active service’ and he must ‘burn them’. My main area of historical interest is World War Two. I’m fascinated by it – perhaps because there were still air raid shelters around to play in when I was growing up in Glasgow. And I can still clearly remember my Dad pulling on his old army overalls and beret before climbing underneath Mum’s car when it needed fixed. So when I heard about a two-day symposium on The Great War being offered at the Military Museum here in Calgary, I hummed and hawed before deciding to sign up. It’s not ‘my’ time period. 1) Two days and 25 papers later, I probably know more about Alberta in WWI than most of my native-born Albertan/Canadian friends. 2) As a writer, ANYTHING you learn is invaluable. Everything can be adapted to add depth, texture and veracity to your writing. 3) More importantly, if you write anything inaccurate in your novel, someone somewhere will pick up on it. And when they do, it will pull them out of the story. From then on they will question everything else you say. Pull a reader out of your story and you’ve lost them. No matter what you’re writing about, please – please – make sure your facts are sound. Although I learned about The First World War in secondary school, I don’t remember much about it beyond the Schlieffen Plan and trench warfare. Somehow it never captured my imagination in the same way as The Second World War. However, I’ve recently been soaking up all the recent TV programmes and documentaries which have been made to mark the 100th anniversary since the The Great War’s outbreak. And the more I learn, the more I want to learn. So when I discovered the Military Museum here in Calgary was offering a lecture to introduce their temporary exhibition, Albertans in The Great War, I was in there like a dirty shirt. Here are a few tidbits I learned. 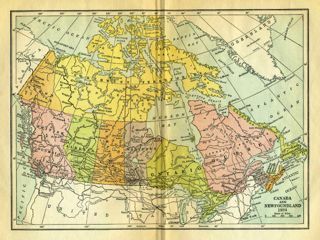 In 1914, Alberta, as a province in Canadian Confederation, was only 9 years old with a population of 470,000. (Canada’s total population was 7.9million.) During the war, Alberta sent 49,000 men, between the ages of 18-34, to serve overseas. Only Ontario and Manitoba sent more in sheer numbers, but the proportion of men Alberta sent was the highest in Canada. During the war, Alberta became the largest exporter of wheat and timber, the 3rd largest exporter of beef, and sent over ½ million horses overseas. The province also raised $42million ($1 billion in 2014 dollars) to war relief efforts such as The Red Cross, The Canadian Patriotic Fund, The Belgium Relief Fund and the YMCA amongst others. Sam Steele, a hero of The March West, The Riel Rebellion and The Boer War, volunteered to serve, but was officially too old for the armed forces. However he received special dispensation to help train the men here in Alberta and accompany them to Britain. Once there, the men received further training under Steele, but Steele then had to relinquish command when the troops were sent to the Western Front. His forage cap is part of the current exhibition. The lecturer told a great story of pilots in the RFC who, after they had destroyed a target (eg ammunition dump/ train) would then land their planes beside the target, collect a souvenir (eg empty shell casing/letter from the engine) then take off again. Apparently one pilot returned with a sack full of mementoes. And what do you do if you’re caught in a chlorine gas attack and have no gas mask to hand? Urinate into your handkerchief and hold it against your face. These are just a fraction of the stories told during the current exhibition. It’s on until December 15th. If you live in Alberta and have an interest in our province’s role during the conflict, I highly recommend you check it out. Given that Scotland will – or will not – vote for independence from the rest of the UK on Thursday, September 18th, I thought I would focus this week’s blog posts on Scottish history and writing. With 2014 being the one hundredth anniversary of the outbreak of World War One, I was fascinated to read about the Scottish Women’s Hospitals which treated allied soldiers during The Great War. Formed to provide medical assistance to the injured, the Scottish Women’s Hospitals also worked to promote the cause of women’s rights. Following this rebuff, the Scottish Women’s Hospital approached the French and by November 1914 they were in business, setting up a hospital in Calais. This was followed in December with a hospital in the Abbey of Royaumont. They went on to set up hospitals in Belgium, Serbia, Malta, Corsica and Russia. The hospitals were staffed entirely by women. Many, but not all, came from Scotland, with others coming from other countries such as America, England and Ceylon. Doctors, nurses and other medical personnel received a salary, but ancillary staff, including orderlies, drivers and cooks, did not. These jobs were filled by women from the upper classes who could afford to work for free, wanted to help the war effort and had a sense of adventure. If you are interested in reading more, please check out this wonderful website which not only goes into the history of the hospitals, but contains the biographies of many the women who worked there. I know a fair bit about my grandfathers’ lives during Word War One. It’s always easy to find out about men’s lives in wartime. In the case of servicemen, every posting is recorded in their service records. For those back home, employed in essential services or too old to fight, there are always work records or census details. But what about the women? What about my grandmothers? 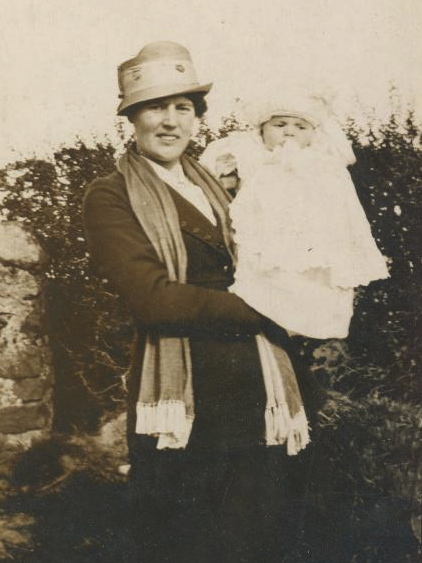 I never met my paternal grandmother – Mary Hendry – but as both she and my maternal grandmother – Harriet Davenport – were young mothers during the 1914/18 conflict, I can only assume they remained at home raising their children while faced with diminishing resources and increasing food shortages. In my paternal grandmother’s case, she raised her family as a single parent under the constant worry that her husband may not return from the front. Here’s a clip from Youtube, but please try to catch the whole programme. It’s available on BBC iPlayer until midnight on Tuesday August 19th. August 4th, 2014 marks the 100th anniversary of the outbreak of what became known as World War One. I never met my grandfather on my dad’s side, David Tweedie Cranstoun; he died ten years before I was born. A trained ‘dispenser’ working in a pharmacy shop in Rothesay, he joined the Royal Army Medical Corps (RAMC) in 1916, ultimately winning the Military Medal for ‘Bravery In The Field’ in 1918. How do I know this? Not from learning stories about him when I was a child. It never occurred to me to ask questions about his life. By the time I did, all the family members who’d known him personally were dead. But it’s easy to find out about an ex-soldier’s military record, I can hear you say. When you know their service number you can access their service records online. What could be simpler? And that’s true – except my grandfather’s service records were among those damaged or destroyed by the Luftwaffe in World War Two. But some fragments remain, burn marks evident around the sides. So this is what I’ve found out about the grandfather I never knew. 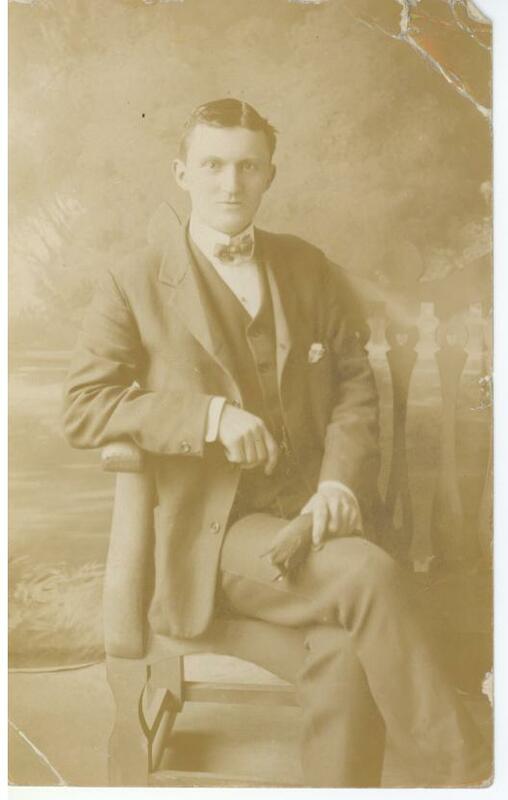 He was born on May 2nd, 1887, the illegitimate son of Jane Tweedie, a domestic servant. The fact that he was illegitimate came as a surprise. Growing up in Glasgow in the 60s, ‘that kind of thing’ didn’t happen in families like ours. And you know, I’m not sure my dad ever knew, because somewhere between 1900 an 1910, before he married and became a father, David Tweedie changed his name to David Tweedie Cranstoun. As far as my siblings and cousins were aware, our Cranstoun great-aunts and uncles were truly our grandfather’s flesh and blood. They were always present for family celebrations and there was never a hint of ‘scandal’ about the man who – in reality – was their half-brother. Married with three children, David joined the army in 1916, serving, as I mentioned before, in the Royal Army Medical Corps. I know very little about his war. It must have been bloody and he must have seen some horrific sights. According to surviving records, he contacted measles at the front and was a patient in an isolation hospital in Glasgow for some time. 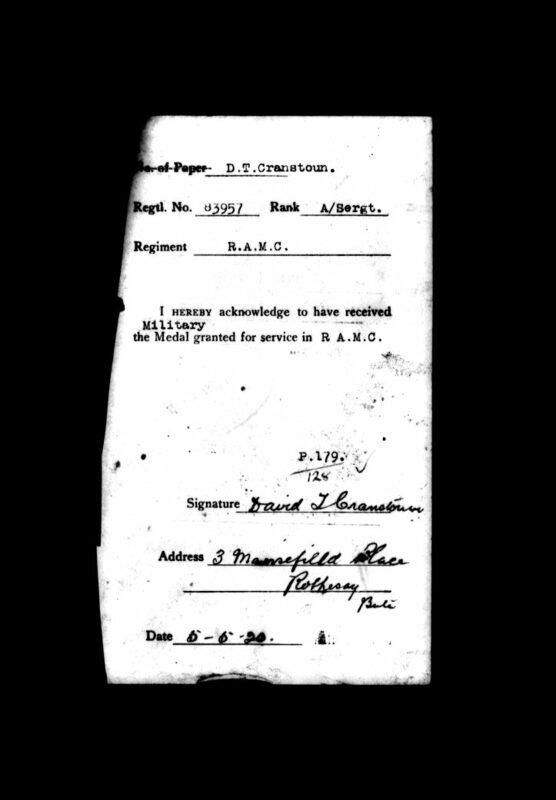 And he must have done something very brave to win the Military Medal in 1918. I also know that after he was demobbed from the army in 1920 he couldn’t settle. According to my father, my grandfather found it hard to adjust to everyday civilian life and signed up to fight for the ‘White Russians’ following the Bolshevik Revolution in 1921. Today, 100 years on from the beginning of that bloody First World War, I can’t help thinking of David Tweedie Cranstoun and all the sons, brothers, fathers, sisters, daughters and mothers who served in that conflict at enormous emotional and physical cost to themselves and their families. We owe them all so much. I, along with thousands of my generation, learned about The Great War at school. And what a boring subject it was. The Schlieffen Plan. Gallipoli. Trench Warfare. Who cared? If World War Two (which my parents lived through) was ancient history, then World War One was positively prehistoric. What relevance could it have to my life? It’s probably only as one grows older and – I hope – a little wiser, that one starts to realise that EVERYTHING that went before influences the lives we live now. In commemoration of the Centenary of The Great War, the BBC has commissioned a four-year project of 130 programmes and 2,500 hours of TV and Radio Programming (documentaries, drama, children’s, news, arts) exploring the period from 1914-18. The opening programme was Jeremy Paxman’s four-part TV series Great Britain’s Great War – with accompanying book. I have to say, this is the first time I feel I’ve ever ‘got’ the First World War, and it’s a fascinating story. Of course he talks about the politics and battles of the war, but he also examines the personal stories behind the conflict: The notice that appeared in the personal column of The Times: Lady, fiance killed, will gladly marry officer totally blinded or incapacitated by the War; The stories of men, so hideously injured either physically or emotionally, they remained within the walls of the hospitals where they were treated for the rest of their lives. But stirring stories too. Of unscrupulous landlords who tried to take advantage of the male population’s absence at the front to raise domestic rents – only to be beaten down by a rebellion of women. The war years laid the path for so much change that it’s interesting to think that the Britain of 1919 would be more recognizable to someone from the 21st Century, that someone from 1913. Even if you don’t live in Britain, it’s worth checking out this book as I’m sure many of the experiences were shared by those living in Canada, Australia, New Zealand and other countries around the world.